I am assuming the reader is familiar with the Firefox Add-on SDK, otherwise it’s time to read this tutorial and keep in mind the jsctypes api. You can download all the code here. Please READ the README and LICENSE txt files before to use the code. The self pointer is just a pointer to the memory block that hosts the struct. We also have a pointer to char that will hold a c-string. The size of the memory block pointed to by str is stored in buff_size. Remember that in C language, size_t is a data type that is machine dependent. It doesn’t have the same size in a 32 bit machine than in a 64 bit computer. *f_st_rand() just allocates memory for a struct st_t and initializes the struct. *f_st_free( struct st_t *st ) releases the memory block pointed to by st and by st->str. *f_st_save( struct st_t *st) stores in a file named output.txt the values of the struct. 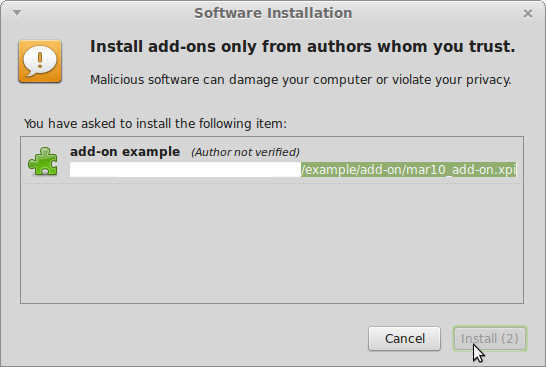 You must compile a shared object and install the .so file in your system. Otherwise, Firefox will be unable to locate the library. See this tutorial for more details. In our setting, the created shared object is libexample2.so. The code snippet for this task is listed below. We use an ctypes.char array of specific size (the same size of our buffer). The property ptr of this array is used to get a pointer. 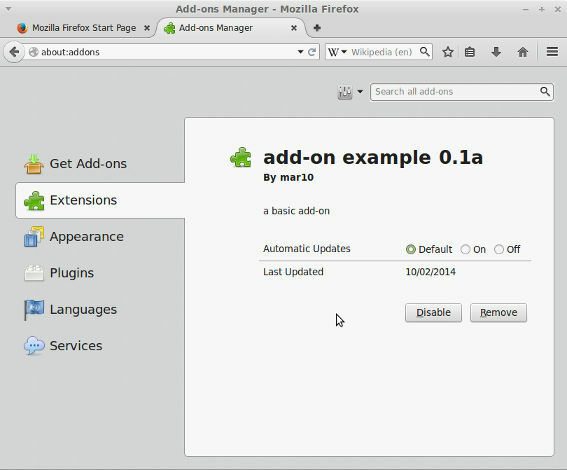 Once the code is ready we create the xpi file and we install it in Firefox via the Add-on manager. 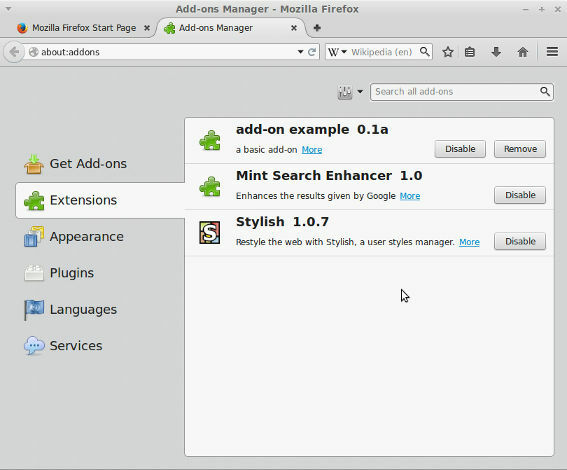 It’s recommended that you open the Firefox Console during the execution of this add-on in order to catch any message coming from the add-on. or any later version published by the Free Software Foundation; with no Invariant Sections, no Front-Cover Texts, and no Back-Cover Texts.